Are you an attorney or an owner of a law firm with a team of lawyers? That’s something amazing and when you are looking to reach out to a vast clientele, it’s mandatory to have a website. Yes, you always have your previous happy clients recommending your name among their family and friends whenever they are in need of a lawyer but that’s a very limited circle. 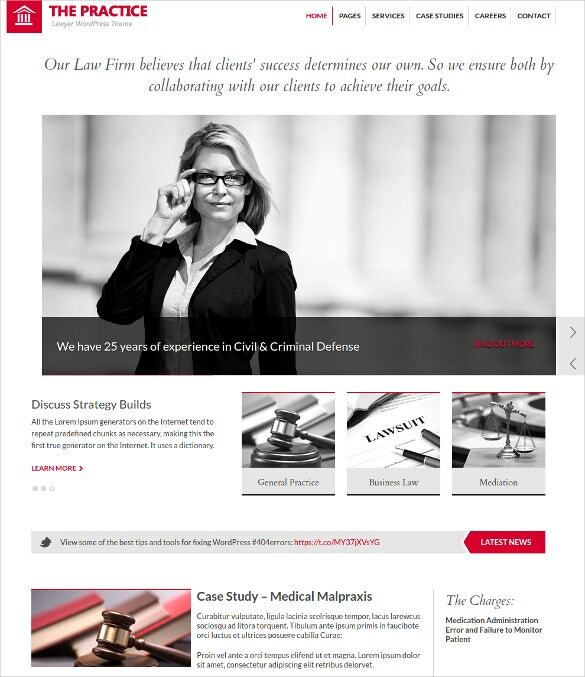 You May also See Law & Legal Blog Templates. If you are aspiring to get yourself known to the masses, having a footprint online is the most necessary. Today, around 92 percent of the adult populace takes to the virtual route to make searches and finding a lawyer also falls among it. 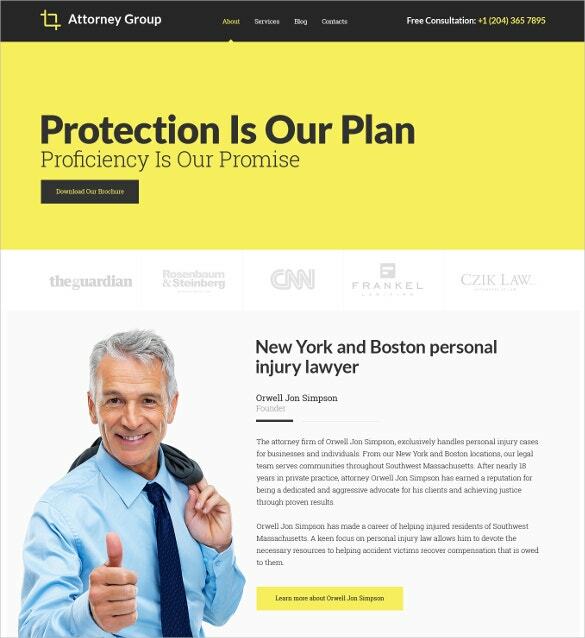 In such a situation, it is of dire need to have your Law Firms Website Template, especially when your competitors too are online. 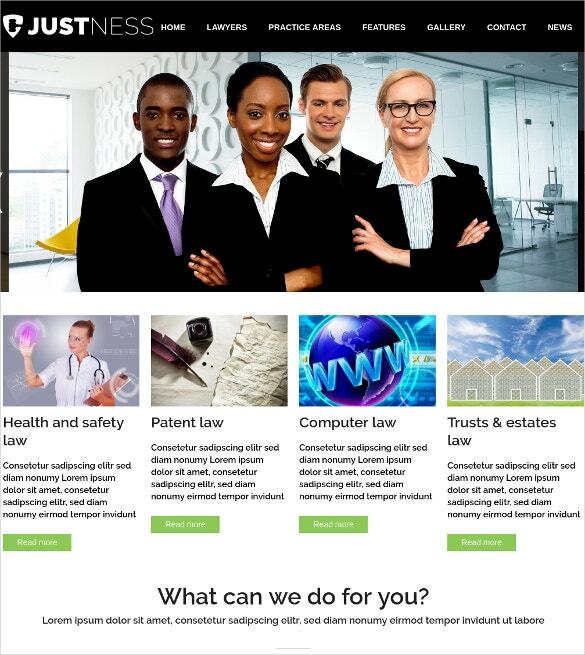 You May also See Law & Legal Website Templates. Try this wonderful theme for your website and engage more audience to your services. 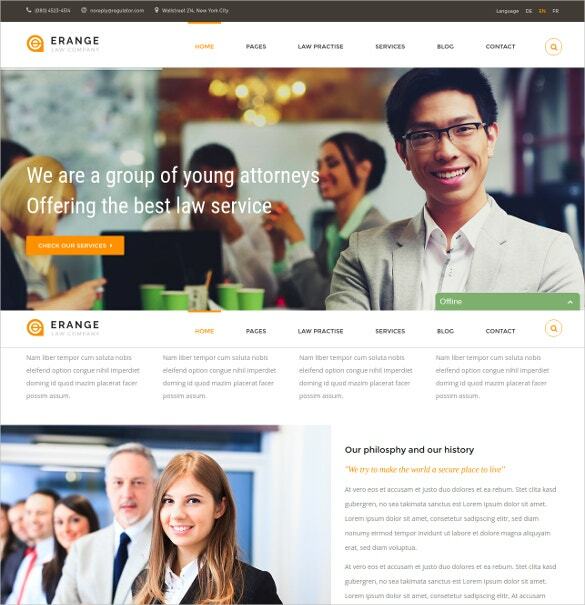 This is a premium wordpress theme that promises to be perfectly apt for legal professionals and related company websites. The Theme Options panel allows for easy customization. 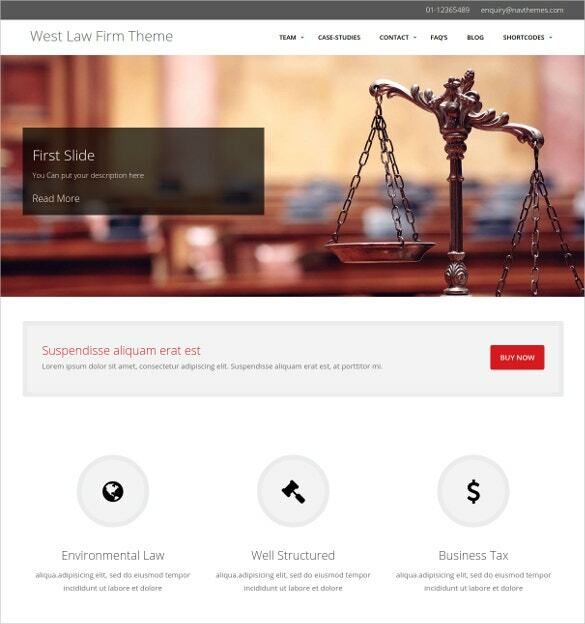 This premium wordpress theme is designed specifically for laywers and law firms. It comes with easy customization and boasts a whole lot of features. The theme also offers the option to embed Google maps. This template has a niche design that promises to be clean and simple yet quite modern in terms of appearance. 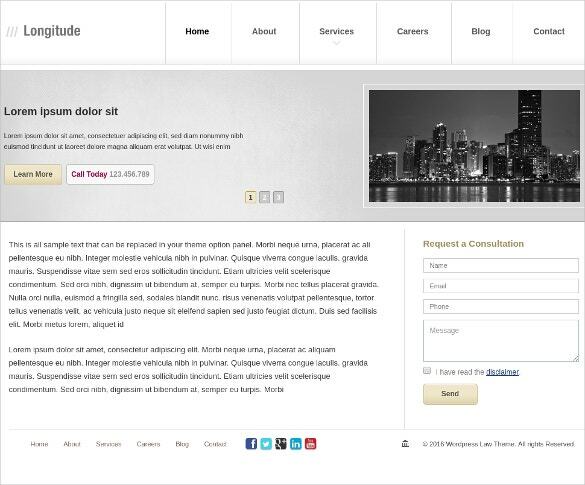 It also feature alternative module templates and advance theme options to redefine the look of the template. 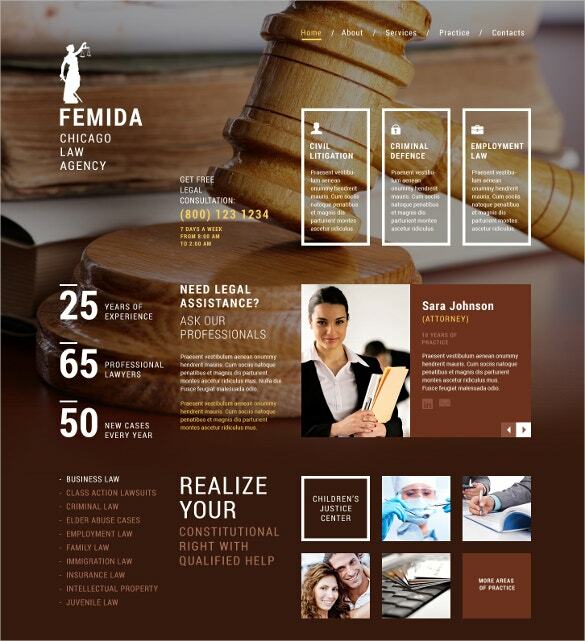 This modern and sleek template perfectly meets the requirement of legal professionals. The pages can be easily customized as per the requirement and the demo pages can be imported simply with a single click. The theme is cross-browser friendly. 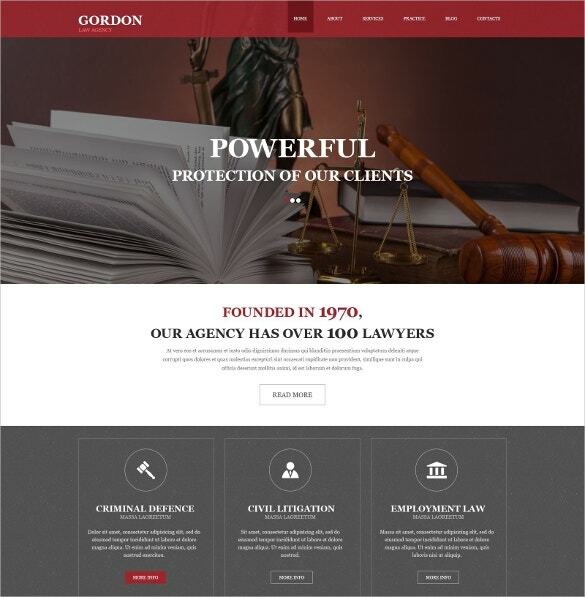 This is a premium wordpress theme that works perfectly with mediators, jurists, lawyers, law firms, or any other legal associations. It features highly powerful Admin Panel that helps in easy customization. The theme takes very few minutes to get installed. 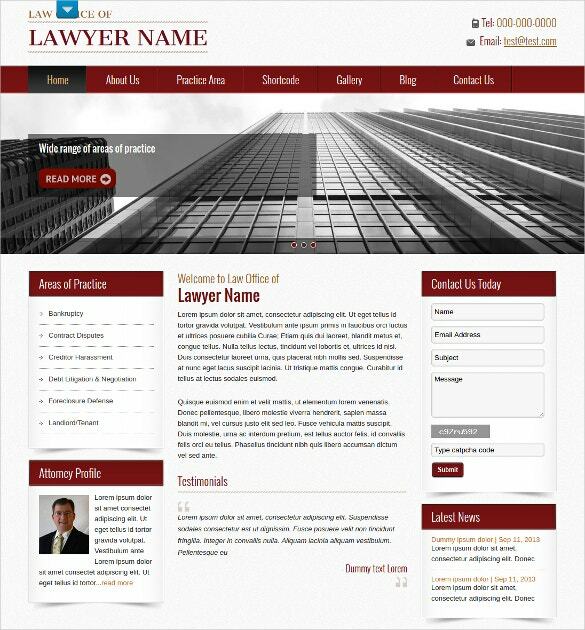 This template is perfectly apt for legal professionals and law firms due to its premium features and niche outlook. It also includes working contact form with basic configuration that works perfectly well with most of the hosting services. The theme has been developed on the Twitter bootstrap framework. 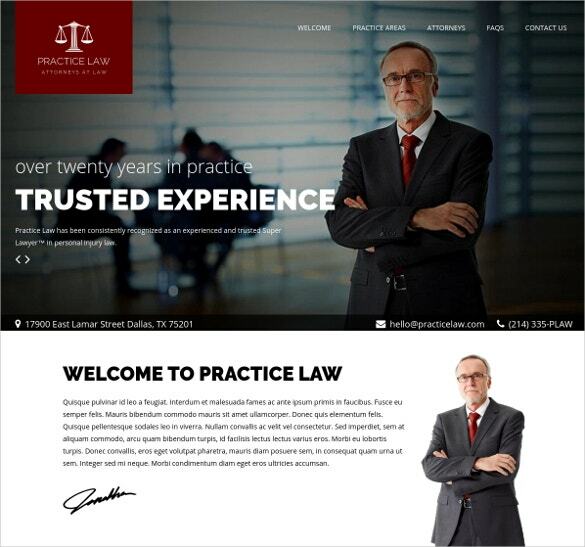 This lightweight wordpress theme is responsive and seems to be ideal for legal sites. The theme is easy to customize and comes bundled with loads of easy to use features. The theme offers crisp display because of retina ready HD display. 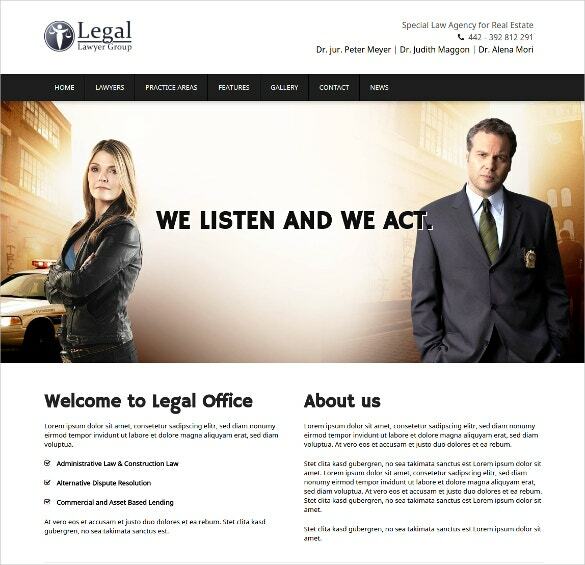 This drupal template can be used for developing law and security websites as well other business sites dealing with similar tasks. The theme is well documented and comes with customized modules. 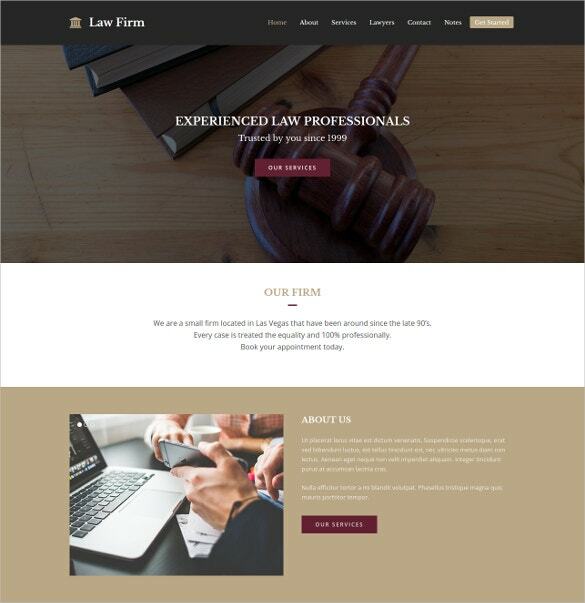 This responsive wordpress theme has an elegant and modern outlook that perfectly matches the requirement of legal websites. The theme also promises some jaw dropping animation effects and full customization. 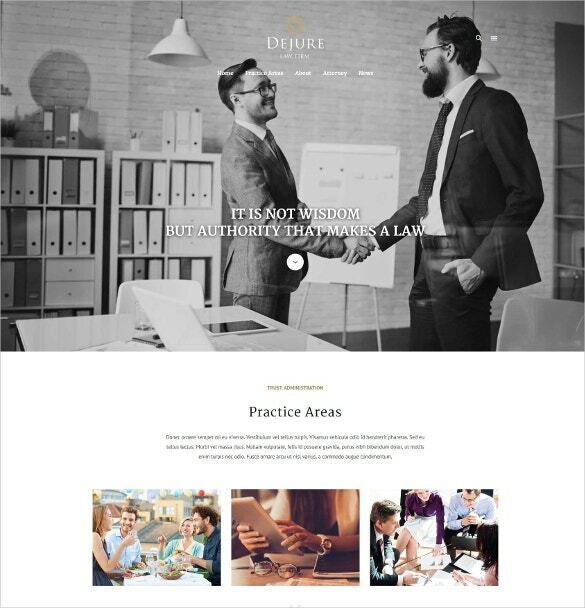 This is a niche theme with flexible and clean layout. It comes with responsive design that makes it really comfortable to use with mobile devices. The theme is easy to setup. 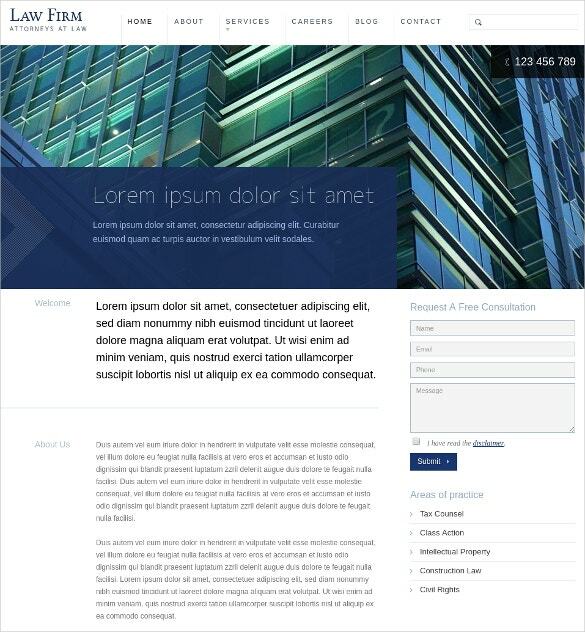 This fully responsive template is easy to setup and customize. 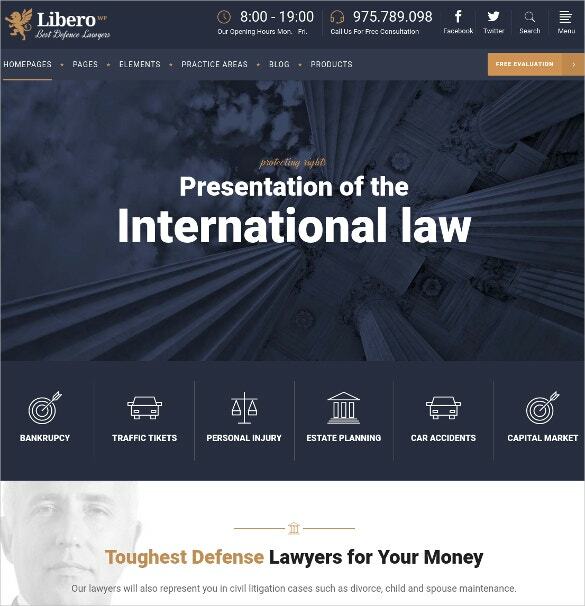 It is perfectly apt for legal consulting, law firm, lawyer, attorney, etc. The theme is bundled with 580+ icons pack. This responsive theme is packed with powerful features. It is elegant yet very simple in terms of interface layout. The theme takes no time to setup and is ready straight out of the box. 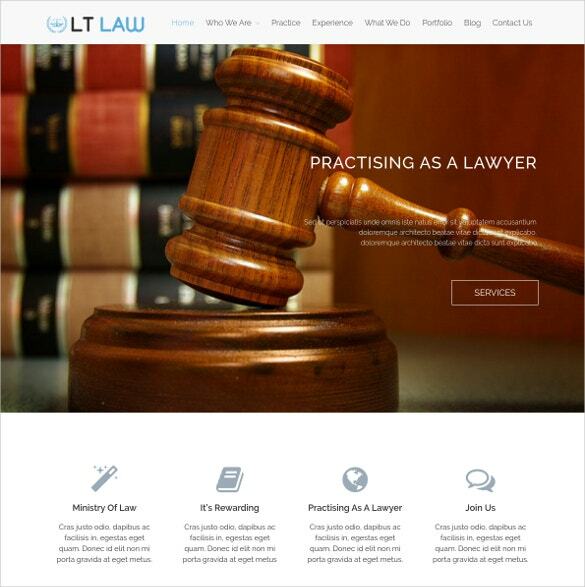 This responsive wordpress theme for legal experts comes with a fully editable layout. It is bundled with custom widgets for commenting purpose, social sharing options, etc. The theme also comes with built-in theme customizer. 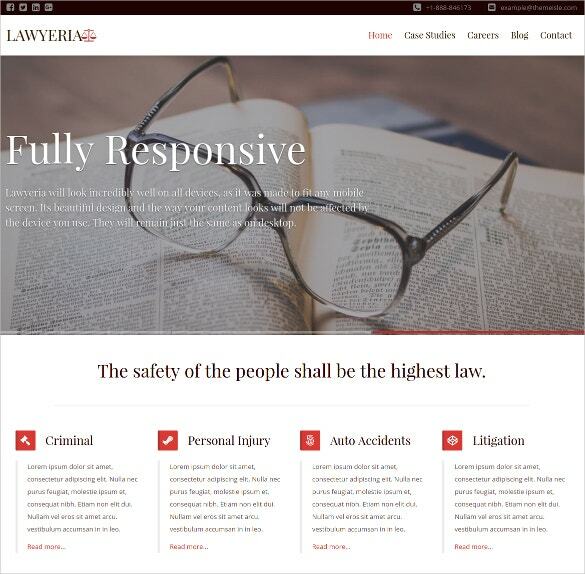 This responsive wordrpess theme is perfectly apt for lawyers, legal experts, law firms, solicitors, and related businesses. The theme is easy to customize and comes with detailed documentation. This is a premium theme that comes with easy setup and installation part. 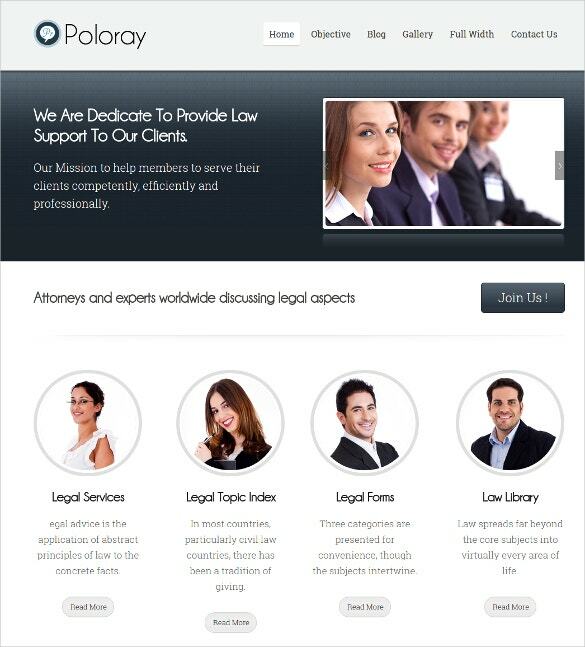 It is ideal for websites dealing with legal proceedings, law firms, attorneys, etc. The theme is easy to customize. This wordpress theme promises to be responsive and mobile friendly. 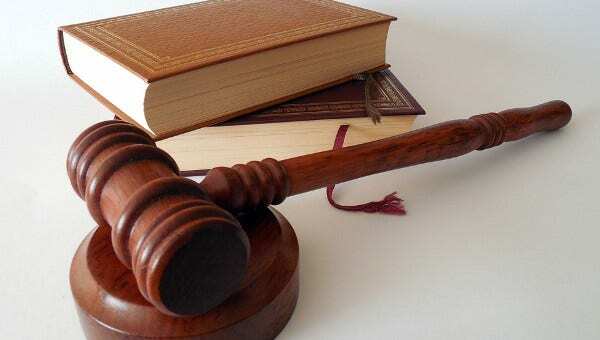 It is apt for lawyers and legal professional experts. The theme promises easy and instant setup. 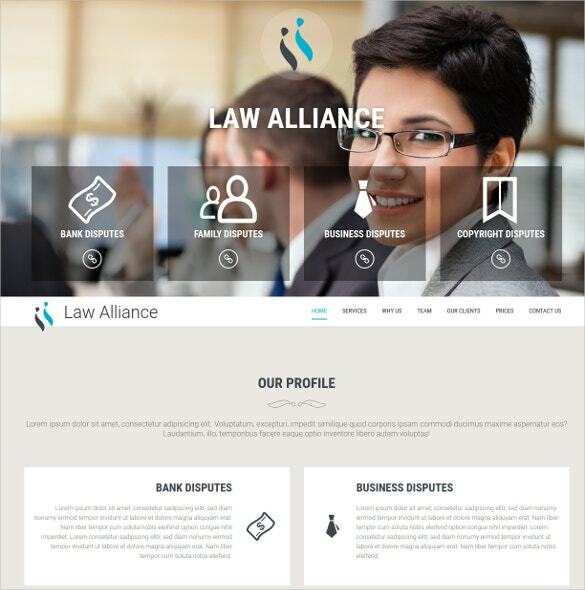 This responsive theme comes with a niche and simple designing interface that allows easy setup for legal websites. The theme is SEO optimized. This template is powerful and comes with a superiorly functioning interface. The theme is crossbrowser compatible and responsive. This premium template is perfectly apt for barristers, legal associates, solicitors, and bar council members. The theme also include easy parallax builder. 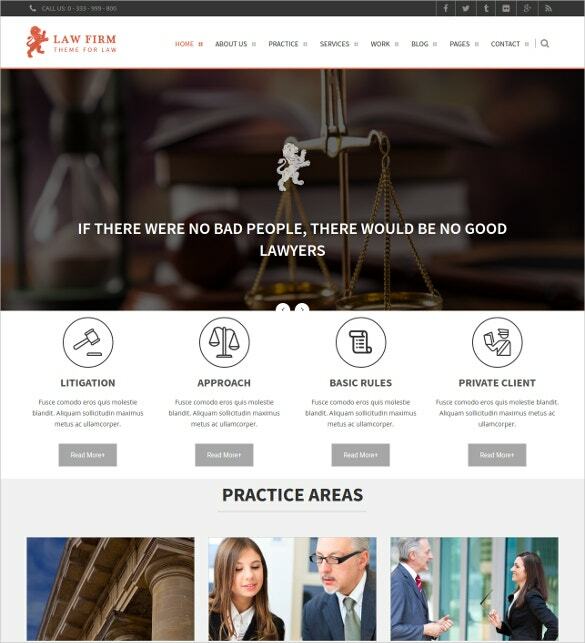 Using this theme, you can easily develop a highly professional legal website that promises to be fully functional, elegant, and modern. The theme also includes Google maps with map pin options. This template has a clean appearance but comes bundled with all the modern features. The theme allows the option to display information in the header area. This wordpress theme has been designed using HTML5 and Genesis framework and support the SCHEMA. 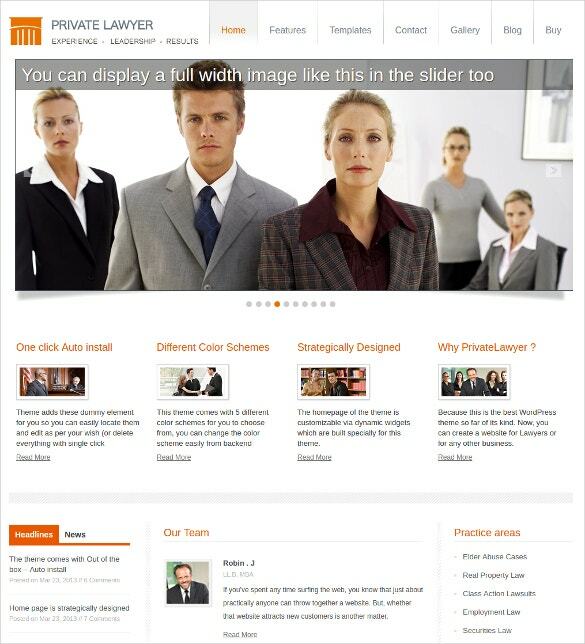 The theme can also be used for other small business websites. This template has a simple yet innovative designing and responsive layout. It comes with several pre-designed options. 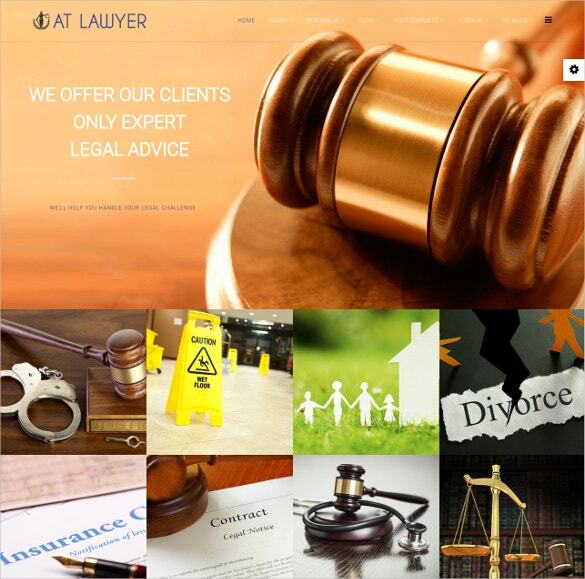 The theme is said to meet the expectation of legal professionals as well those who deal with law related blogs. 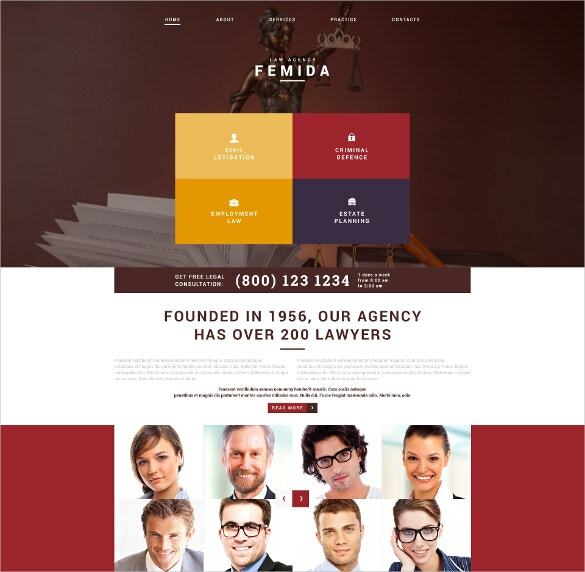 Today, it is more convenient to create your own law firm website with the help of free law firm website templates over the internet. 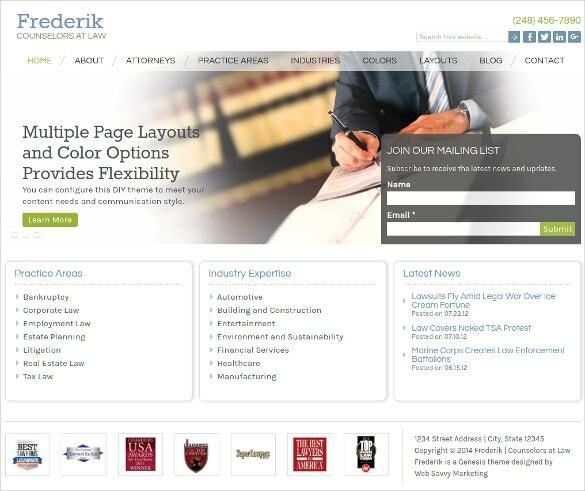 What can you do with law firm website? 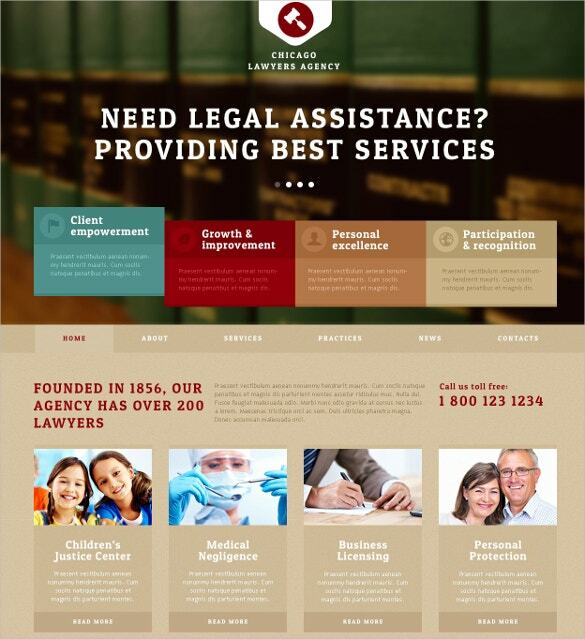 A website would always be grand for your law firm. For the starters, you can discuss about your services and areas of expertise in detail on your website. You can also detail about your degrees or that of the other lawyers in your team. 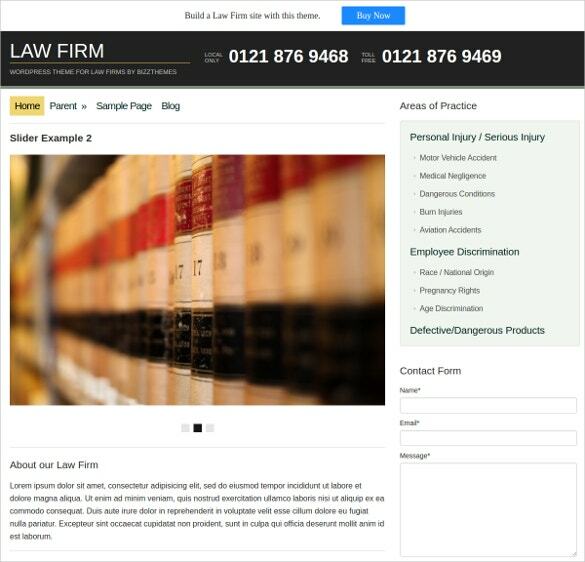 Then, the law firm website templates would enable you to state about your experience and the latest cases where you have won. 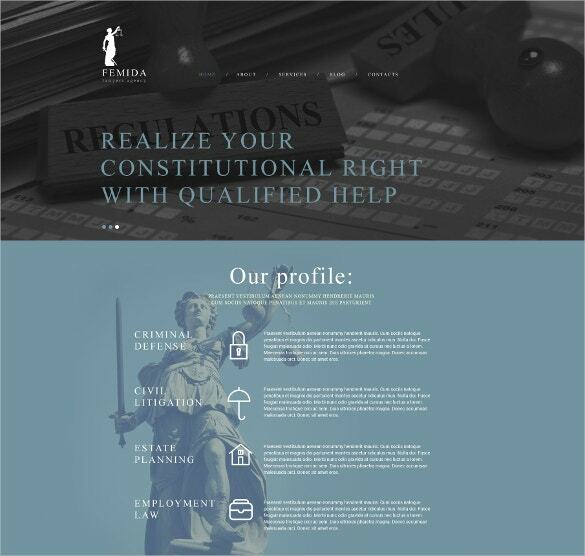 You May also See Law & Legal PHP Templates. It takes good deal of technical expertise to create a website from scratch and otherwise you have to hire a developer to do the work for you which could be an expensive affair. 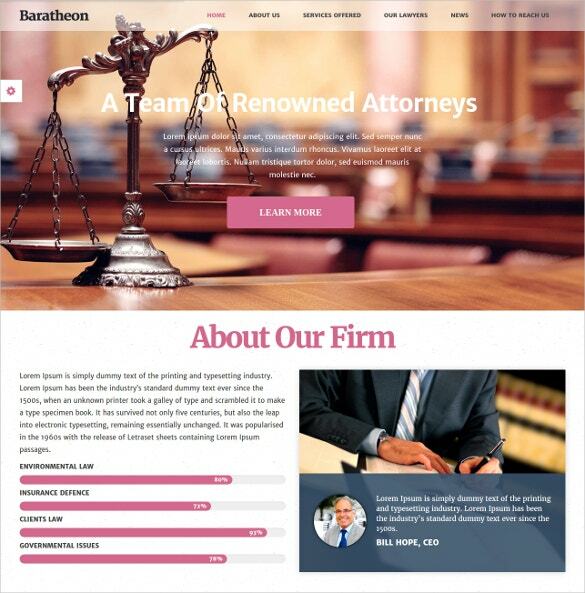 It’s the high cost of developing professional websites that bar many lawyers from having their own website. 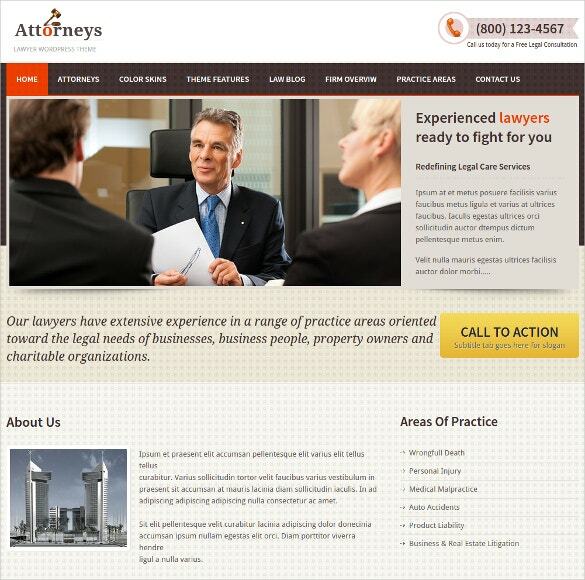 But not to worry any more as these days you have the attorney website templates that arrive with a readymade format. 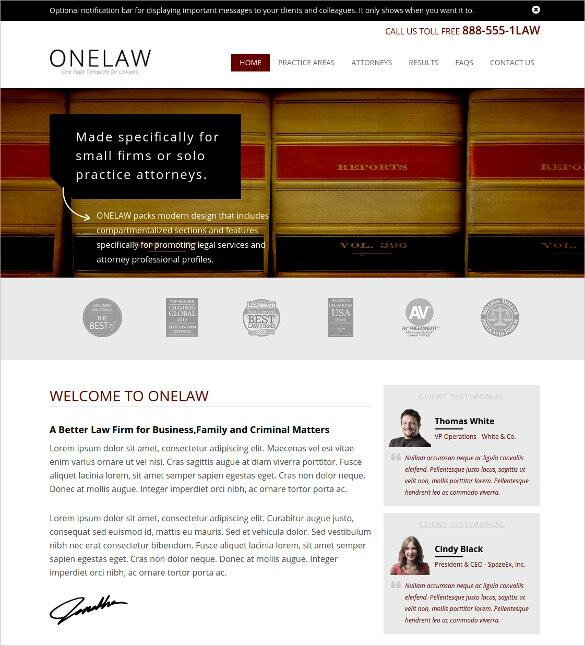 You May also See Law & Legal WordPress Templates. You would simply have to download them and customize according to your specific law firm needs. 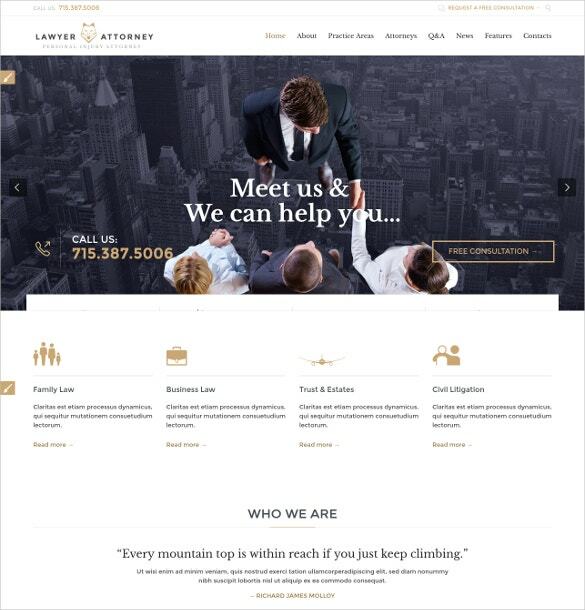 Thanks to the law firm website HTML templates, you won’t even need to consult a web developer. 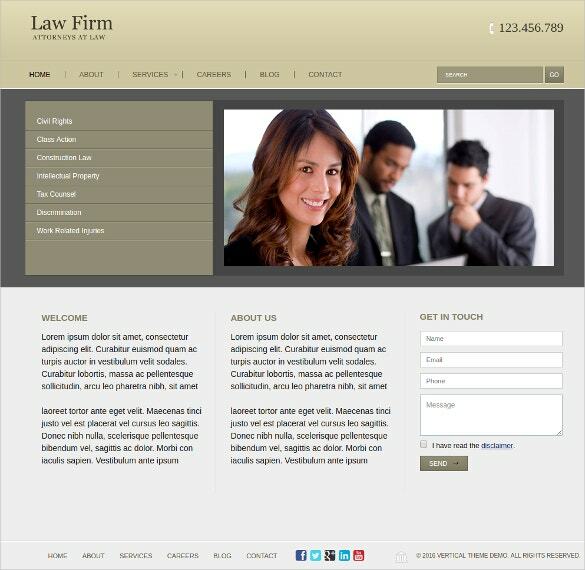 The online world offers a wide variety of WordPress law firm website templates to take to. 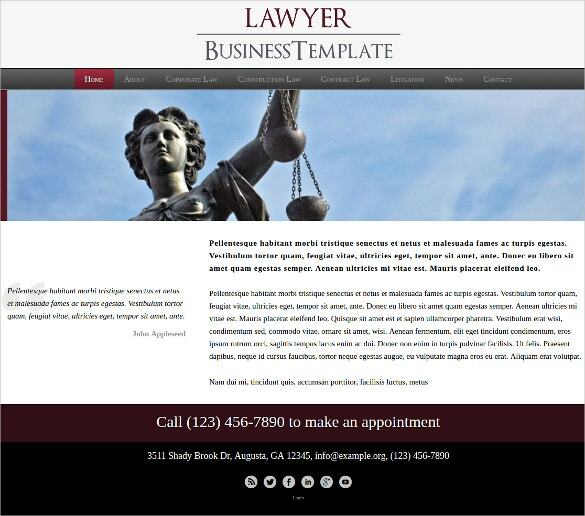 You May also See Lawyer WordPress Templates. 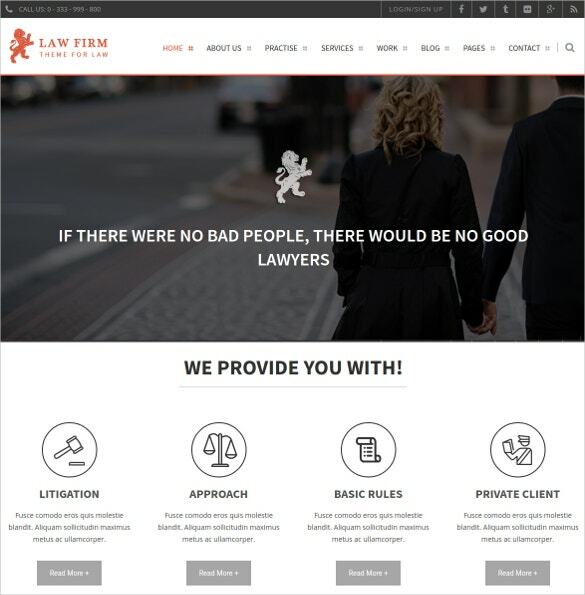 If you are in search of best law firm website templates, template.net would be a handy resource for you courtesy our wide range of such professional templates, designed by experts.